In the eastern Polynesian islands known as Hawaii, the making of music and dance is center on mele or chanted texts. Mele, sung alone, are said to be performed in the oli style (without dance or musical instruments). When coupled with hula (dance), they are called mele hula, and when the pahu drum is added the performance is called mele hula pahu. More specific terms are also applied to mele that are used for specific purposes such as processionals, prayers, and naming.The practice of perpetuating tradition through the teacher-student relationship is strong in Hawaiian mele. Performers’ styles are recognized, back through time, in their teacher’s, and their teachers’ teacher’s styles. 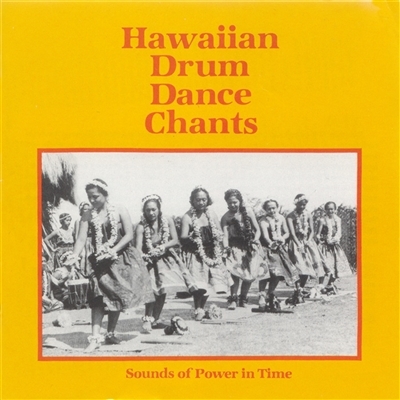 These recordings give a view of several performance styles of Hawaiian mele between 1923 and 1989, although the traditions and the mele reach much further back in time.